Pre-payment is that we verify your credit card. If your card is invalid, you will need to provide us with a new credit card information or reply to us with a payment option within 24 hours, or we will have to cancel your booking. We charge your credit card 7 days before your check in date as our cancel policy. 100% refund if contacted more than 8 days prior to arrival. 50% refund for contacts 3-7 days prior. No refunds for cancellations on the day arrival and 7 days before arrival. During the peak season, no refunds for cancellations on 14 days before arrival. Our reception is closed from 13:00PM to 15:00PM. You can leave your luggage around the reception before check in and doors are opened daytime including 13PM to 15PM. If your check-in is expected to be after 21:00, please contact us beforehand. Under 12 years old is child. individual bedding futon, please book as one child. However if 2 children who are under 6 years old stay in the same room, we will charge as one child. If 3 children who are under 6 years old stay in the same room, we will charge as two child. 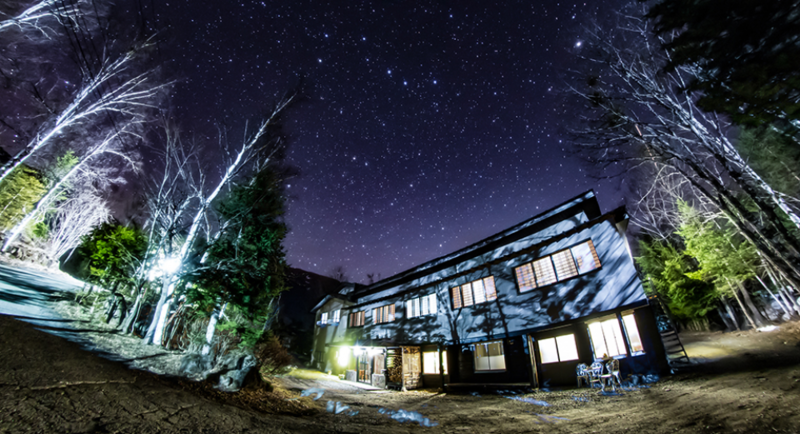 Additional 150yen per night per person as Onsen Tax will be charged all year round. And 300yen per night per person as Heating fee will be charged from December to April. Please note that Raicho is a guesthouse; services such as breakfast are basically self-served. There are no restrictions to bringing in your own foods/beverages; guest are requested to take care of garbage at their own responsibility. Please order the self-breakfast till 17:00PM at your check in date. We will charge the accommodation fee immediately for the guests who booked for more than 7 person. Free cancellation is available 15 days days prior to arrival. No refunds for the cancellations 14 days before arrival. Tatami unit Japanese-style room for up to 5 guests to share, unisex. Partitions and individual reading lights, clothes hanger, and plugs to charge your mobile devices are available. Bathrooms will be shared. 10-Tatami unit Japanese-style room for up to 4 guests to share, female only. Partitions and individual reading lights, clothes hanger, and plugs to charge your mobile devices are available. Bathrooms will be shared. 7-Tatami unit Japanese-style room for 1 – 3 guests, with a sink which will be unavailable during winter season. Bathrooms will be shared. 10-Tatami unit Japanese-style room for 2 – 4 guests. Bathrooms will be shared. 14-Tatami unit semi-Western-style room with beds (Futon) and private bathroom for 2 person.